CONDITION:Good condition. Some 'foxing' to the compressed outside edges of the first 25 pages but reading pages are clear and no tears. 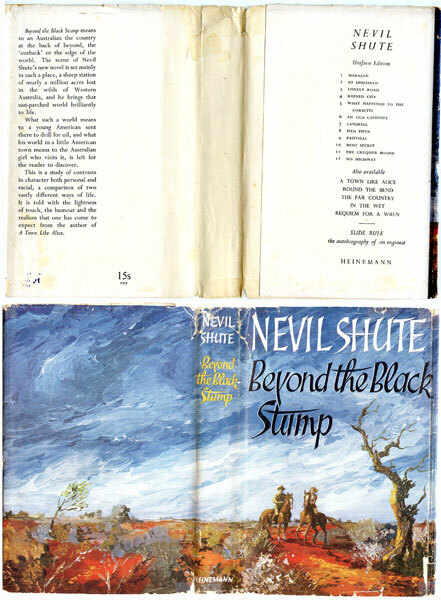 There is browning to the very first blank page and a stamp to the bottom which reads THE BOOK STALL BOMBAY. The red boards are clean and not faded and the gilt lettering is good. The dust wrapper is clear and bright but has suffered to the edges particularly to the top of the spine and the front flap fold. It is not terribly tatty but needed to be mentioned.